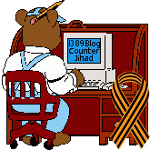 Ethnic, religious, and racial “sensitivity” for everyone but SERBS — 1389 Blog - Counterjihad! Click the link and read it yourself. I can’t be bothered to excerpt it. Suffice it to say that a mild joke about hats and mustaches or other costume items purportedly worn by some members of one particular ethnic group, namely eastern Asians, is an entirely different matter from the ongoing and relentless effort to annihilate another ethnic group, namely the Serbs. Have a sense of proportion already! I wouldn’t give a rat’s patootie if somebody were to create an app that decorates your photo with clothes and accessories typically worn by Serbs. It’d be a huge improvement. Do you ever see Serbs, at home or in the diaspora, dressing like THIS? Hell no! The bottom line is this: Serbs dress a lot more tastefully than other people do. Want to make fun of us for that? Go right ahead! 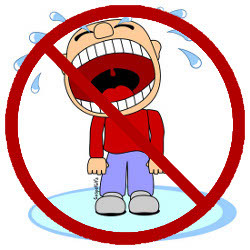 …then maybe, JUST MAYBE, I’ll start taking all these other crybabies seriously about their widdle hurt feewings. Until then – if you are upset about a “racist portrayal” of yourself – let me be the first to tell you where to go and what to do when you get there! Next post: We Just Called to Say We LOVE Israel!